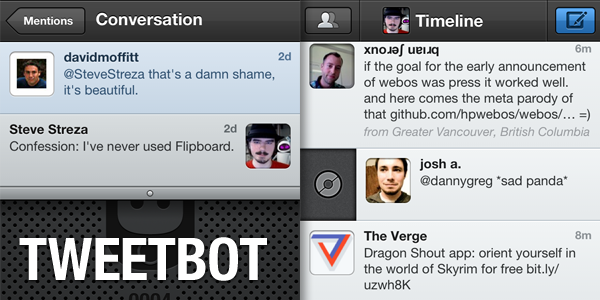 DISCLAIMER: I am friends with the guys at Tapbots (makers of Tweetbot) and the guys at TapTapTap (makers of Camera+). However the apps would not have made it onto the list if they were not of the highest quality, and have not influenced my reviews. I have deliberately excluded apps made by any company that I have worked for either now or in the past. I have also not included affiliate links. $2.99 – Tweetbot came out this year as a pretty full-featured Twitter client, but naturally everybody has their own pet features they would like. The guys at Tapbots have steadily improved the app over the year, adding support for push notifications, muting, Favstar integration, and plenty more. It has since become the best designed and most full featured Twitter client, far exceeding Twitter’s iPhone app. $0.99 – The iPhone has the best camera of any mobile device (and I test a lot of mobile devices). 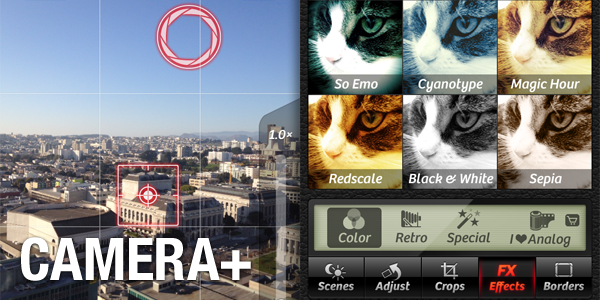 Camera+ has many features that go beyond the included Camera app. The most important ones actually help you take better photos, such as the image stabilizer, which uses the iPhone’s gyroscope and only captures a photo when your hands aren’t not shaking. The touch up tools are very handy, and the filters look pretty good compared to other photo apps. And a suite of sharing tools help you share your moments with your Twitter, Facebook, and Flickr friends. It’s the tool you should reach for when taking photos, and it shows how good a replacement the iPhone can be for a standalone camera. 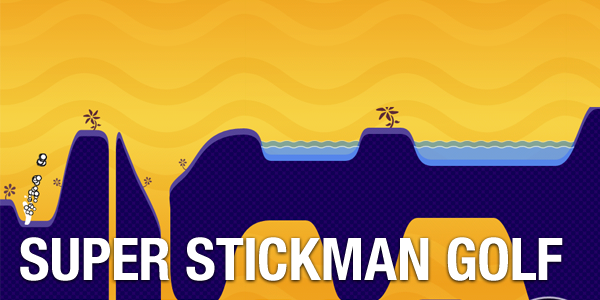 $0.99 – I’m a sucker for a good physics game, and Super Stickman Golf is a great one. Get the ball into the hole while navigating steep terrain, dodging death traps, and staying under par. With dozens of 9-hole courses and a grab bag of power ups, there is a ton of replayability here. It also includes an exhilarating multiplayer mode which completely changes the mechanics from precision to speed. One of the greatest physics games for iPhone that isn’t just another Angry Birds clone. $0.99 – The form factor of the iPhone lends itself to simpler games over more complex ones. One-tap games like Canabalt are great because of their simplicity. 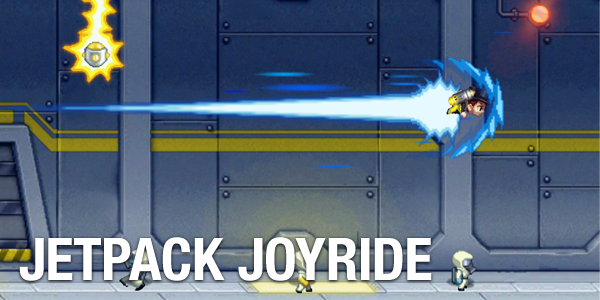 Jetpack Joyride takes this to great lengths, packing a ton of variety into a single tap. And it shows how to do free-to-play games right, in a way that doesn’t give an unfair competitive advantage or make you feel forced into spending more money. Gorgeous graphics with a ton of tiny nuance help seal the deal. Free w/ optional subscription – Spotify combines a cloud-powered streaming music service, a lovely native Mac app, and excellent sharing features into one great app. Though Spotify has been around for awhile, it only recently became available in the US. It lets you combine their huge streamable catalog with music in your iTunes library. 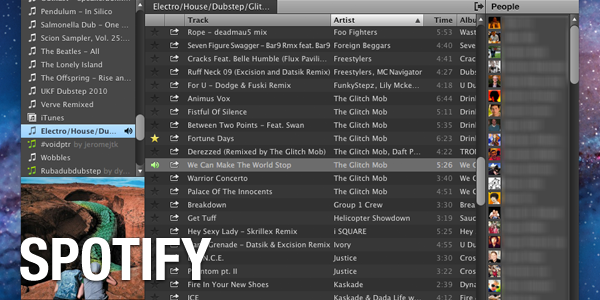 It syncs your playlists in the cloud, and copies tracks to your iPhone via Wi-Fi. And it lets you share tracks and playlists, either to one person or the world, quickly and easily. I’ve ranted before about how I don’t like iTunes, and have searched long and far to find a suitable replacement. This year, Spotify became that replacement. $29.99– Photo-editing tools typically come in one of two favors; way too complicated, or way too simple. 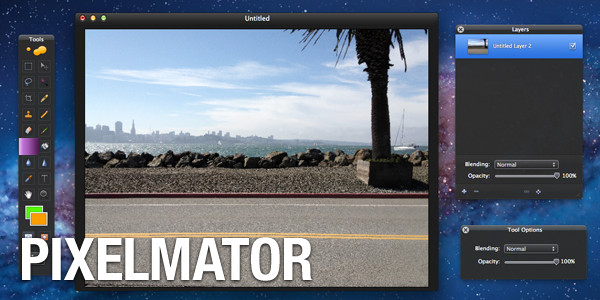 Pixelmator bridges the gap by bringing much of the power of Photoshop to mere mortals at an affordable price. While pro designers probably won’t drop the Adobe tools for it, it’s a fantastic and flexible tool for editing photos. And it has great support for core Mac OS X technologies like Core Image and Auto Save. It’s the perfect tool for going beyond red-eye reduction and one-click canned filters to make photos and images look fantastic. $26.95 – Not many games have staying power for me; I typically lose interest in most games after a couple weeks. Not Minecraft. I started playing Minecraft in September of 2010 and have been continually coming back to it ever since. A Lego-style deformable terrain lets you create the world in your image, getting lost in massive caves, and dodging monsters who hunt you down and try to kill you. The game has incredible depth, forcing you to find raw materials and learn how to turn them into weapons, armor, building materials, and so much more. If you’ve got some friends who play, and one of them is technically savvy, you can set up a multiplayer server where everyone can contribute to the same world, helping each other survive and creating ever-cooler worlds. The 1.0 version, released in November, has a series of objectives and an end-game, though you can happily ignore it and just have fun making your world. 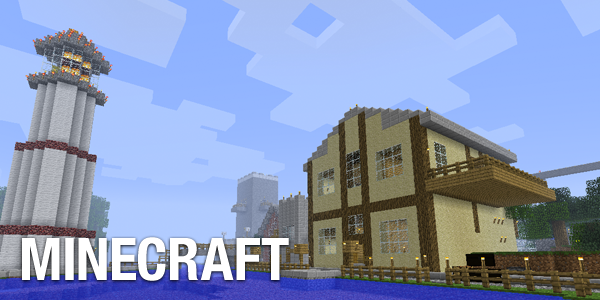 You’ll spend hours playing Minecraft, and actually have something to show for it after. $19.99 – One dream that will probably go unrealized in our lifetimes is that of interstellar space travel. We’ve all wanted to live out battle scenes from Star Wars. 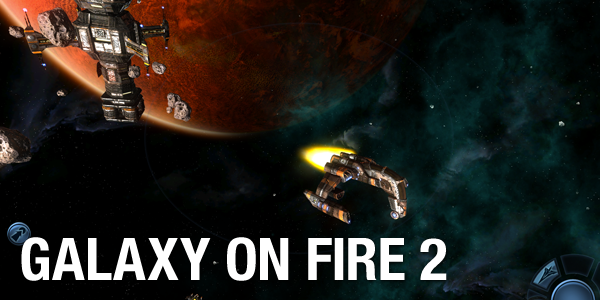 Galaxy on Fire 2 is a gorgeous space action game that brings that to life. You can hunt pirates, trade minerals, go on side quests, and hunt down the mysterious race known only as the Voids. A large economy lets you customize your ship to give you the edge in battle, or help you carry more precious resources across the galaxy. A massive story, incredible graphics, great voice acting, tremendous depth, and perfectly-tuned controls make this a must play. It’s available on iPhone and iPad, but with so much graphical detail, you’ll want to check this one out on the big screen.